The TERMIK®-FARM driers are suitable to dry different agricultural grain produce, such as: corn, bread cereals, fodder cereals, oilseeds, small seeds, sowing seeds, etc. The grain drier program can be divided into two basic technologies: continuos flow driers and batch circulating driers. Both types are built of standard structural elements, making it possible for us to produce driers of different size and form, according to the demand of customers. Besides the large variety of sizes and performances, our driers are up-to-date: economical, environment protective, and - if required - insulated. 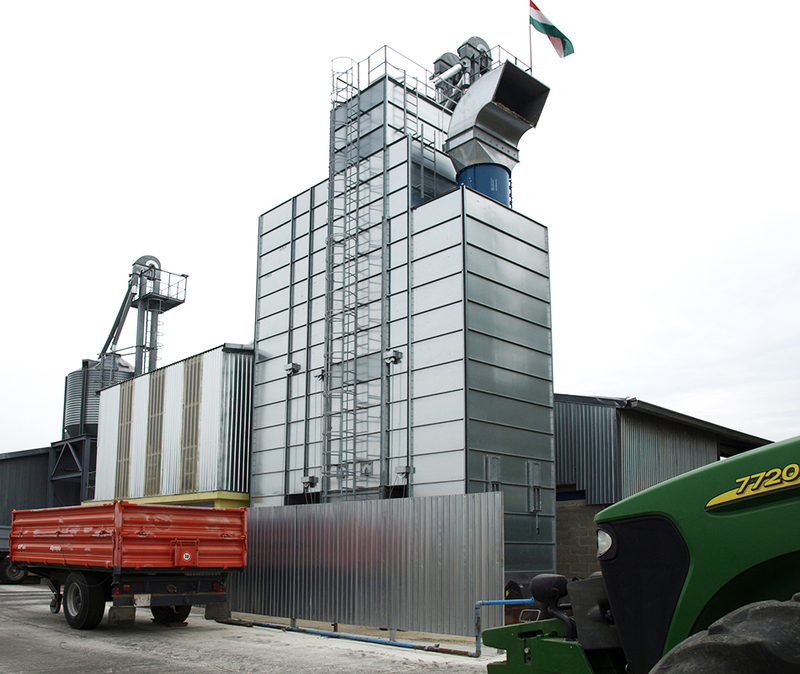 The TERMIK®-FARM driers are working with gravity grain moving, warm air, shaft system. The warm air is flowing through the grain layer in cross channels.This simple operation method is remarkable safe, energy saving and results even, good quality drying. The TERMIK®-FARM driers can use following fuels for furnace: natural gas, PB-gas, or fuel (diesel) oil. The driers are equipped with automatic temperature control, therefore the handling is simple, no special knowledge is needed. The MIKROTHERM Ltd. is offering drying solutions for all customers from small to large farms and grain processing plants.